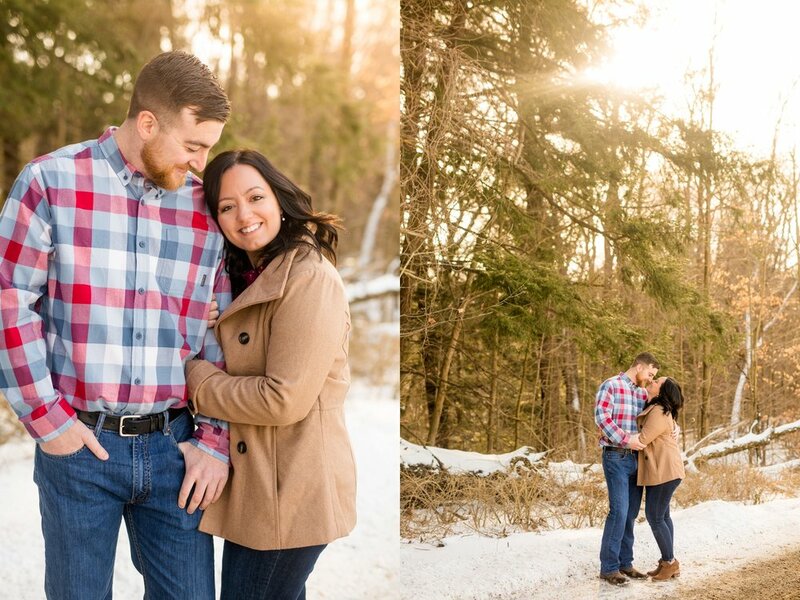 Spring is right around the corner, which means lots of beautiful, colorful, spring engagement sessions! 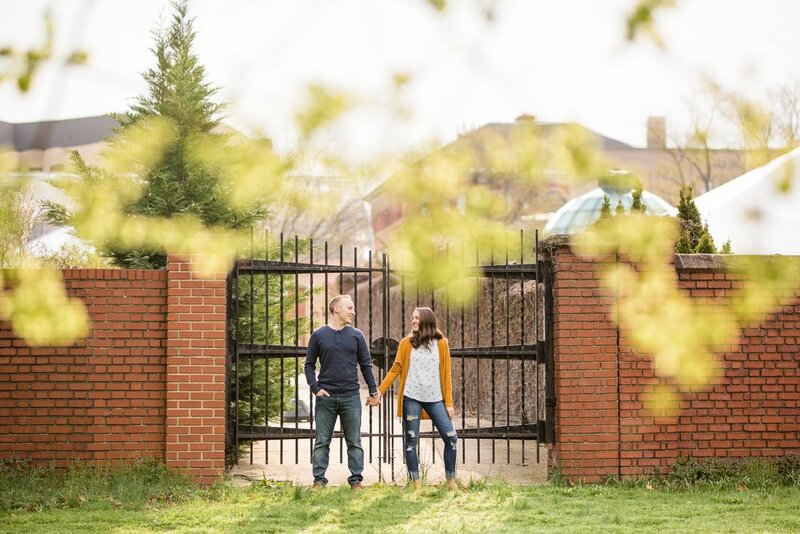 But, let’s be honest, here - one of the best and toughest parts of any engagement session is figuring out what to wear - especially when you have to coordinate outfits for not one, but TWO people. 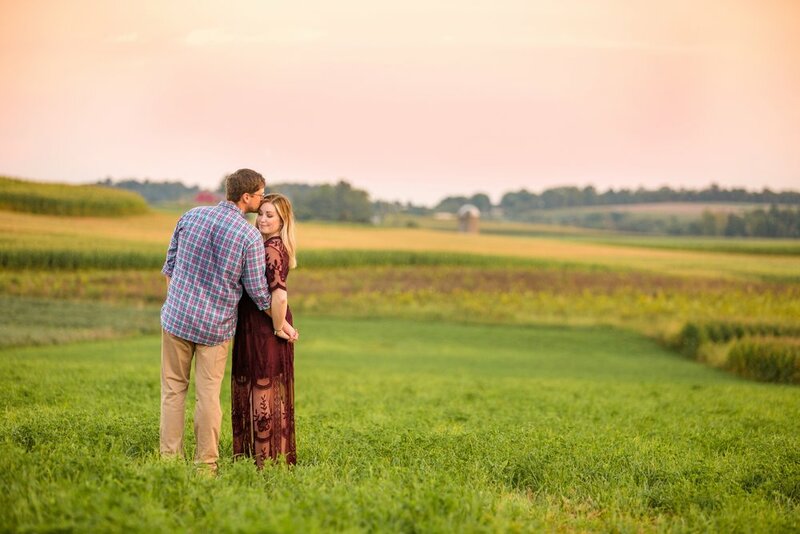 While an upcoming engagement session may be a good excuse to head to your favorite local boutique, it can be frustrating not knowing what to wear with so many different options! 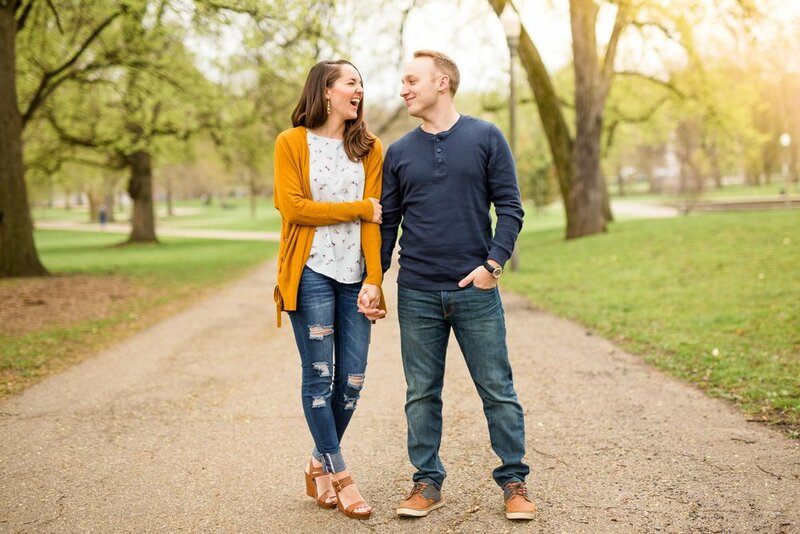 Today, I want to share some styling tips specific to spring and summer sessions for engagement photos. Below, you’ll find a few ideas to say “yes” to, and a few you might want to consider passing on. Below these two categories, you’ll find a link to my engagement spring & summer inspiration board (which I update on the regular! 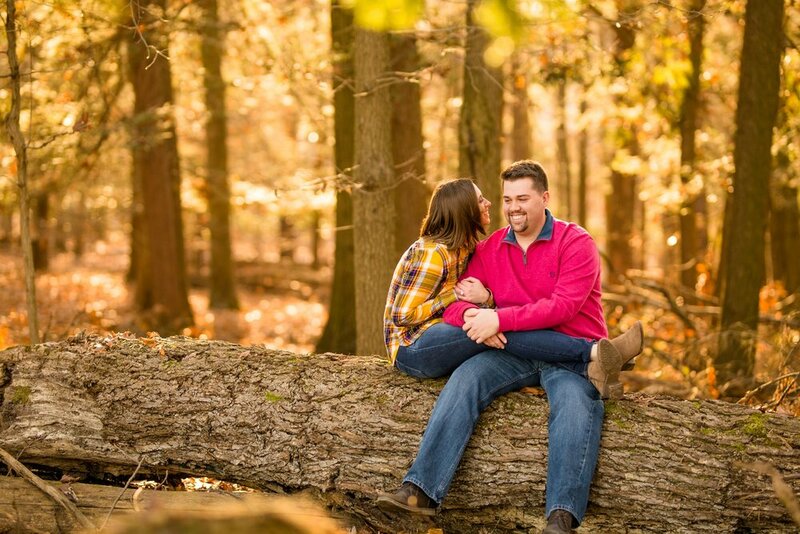 ), as well as some inspiration from past JHP couples. 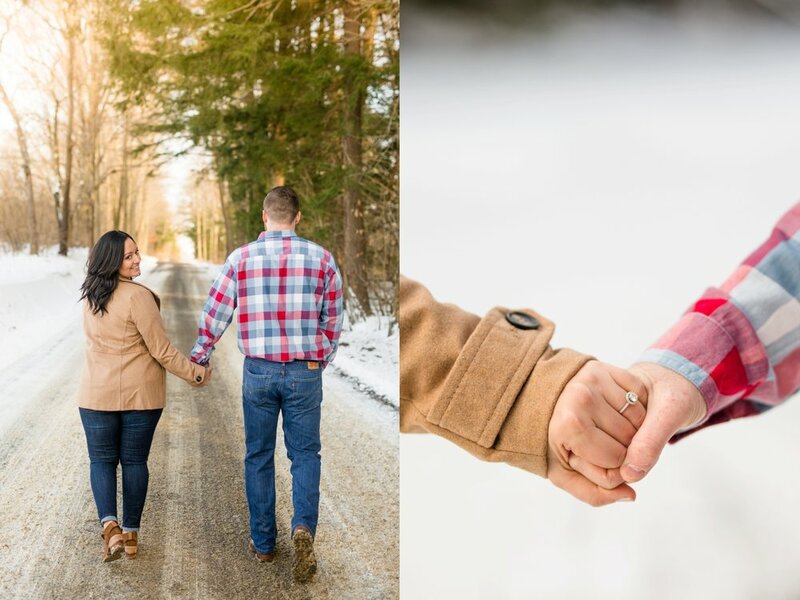 But above any of these ideas, make sure you feel comfortable in whatever you choose to wear for your engagement session. Confidence in front of the camera can be hampered whenever you’re not fully sold on (or comfortable in) what you’re wearing! 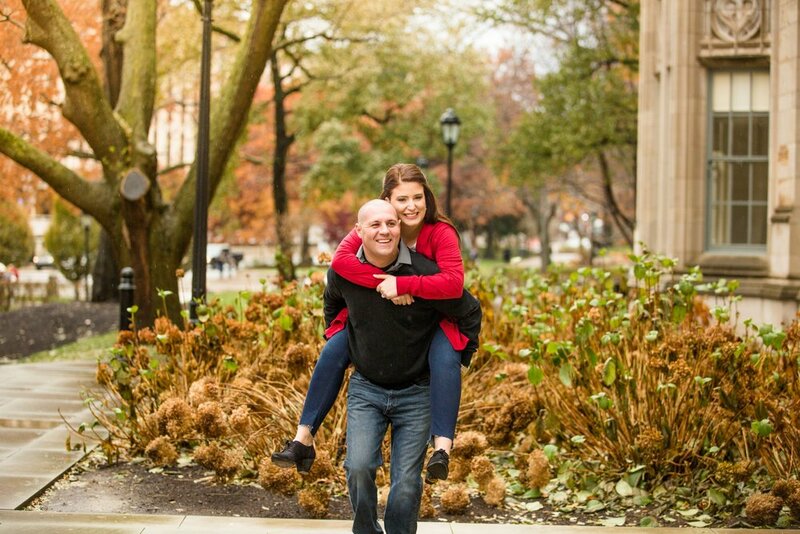 And trust me… you’ll be moving around a lot for your engagement photos, so you’ll want to make sure you feel comfortable! 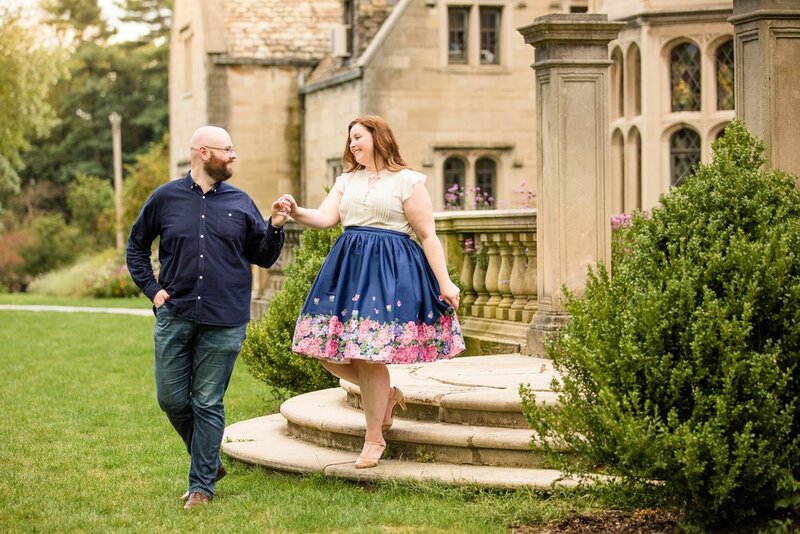 Without further ado, here are my top styling tips for engaged couples! Neutrals - As much as I love bright colors, there’s something sophisticated about some well coordinated neutrals. For example - white dresses and a neutral blazer are both classic and pretty much never go out of style! 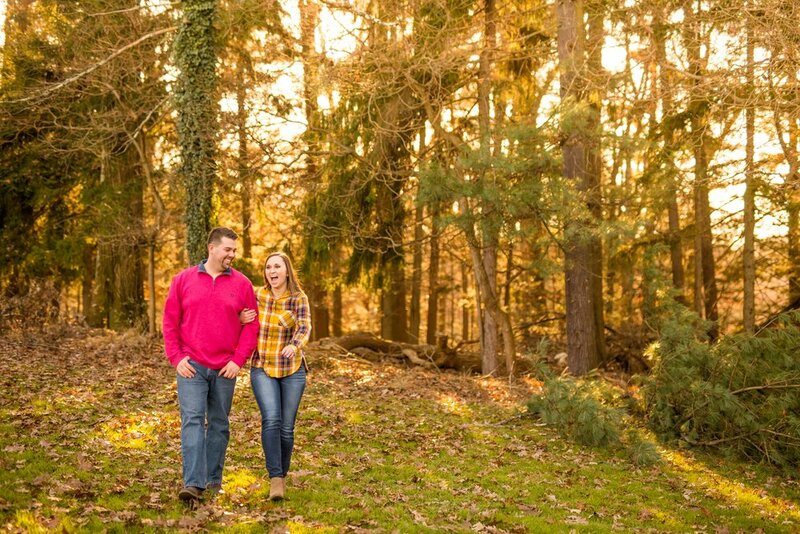 Three Quarter Length Sleeves - Did you know that three quarter length sleeves are the most flattering type of sleeve length for both men and women? They’re also the perfect length for those temperate spring mornings and evenings! 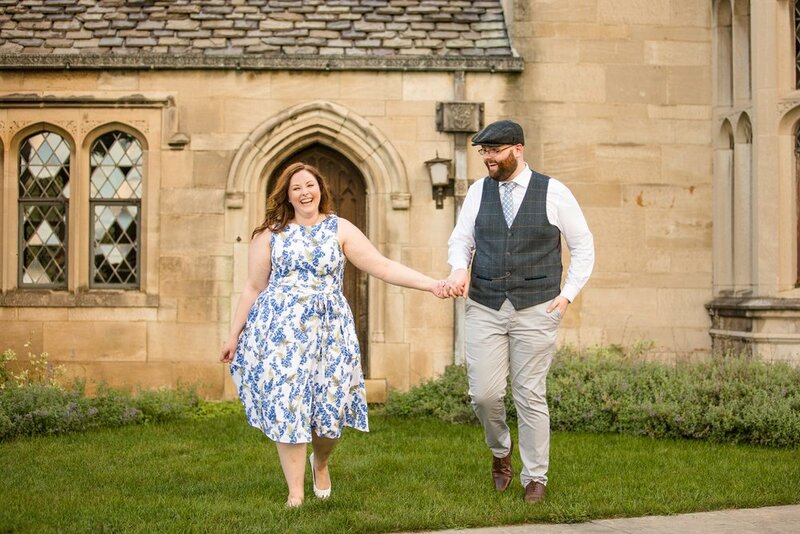 Floral (for Her) or Other Patterns (for Him) - Floral patterns for the spring are always a hit! Whether you go with a top, sundress, or maxi dress (my personal fave! 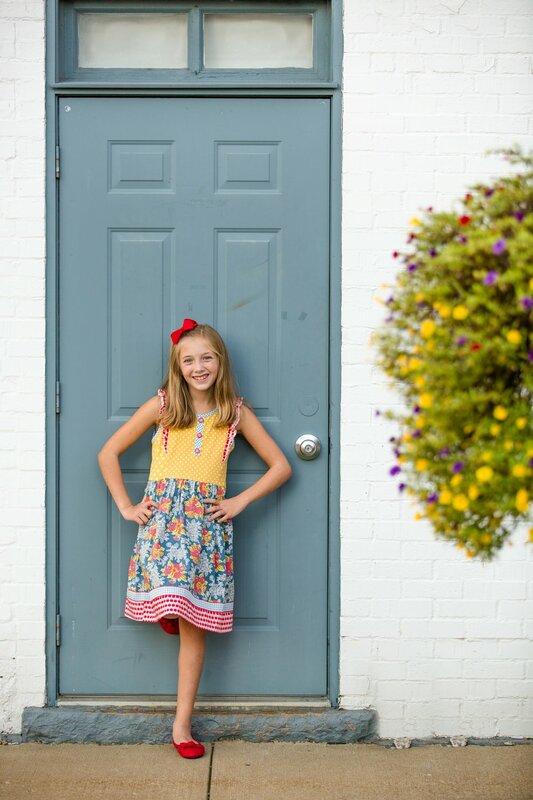 ), floral patterns (and even other patterns) work well to make someone “pop” off of the background of an image with a simple background. If you’re working on styling your guy, a shirt or tie/bowtie with a slight pattern can add some extra visual interest and make your outfits pop! Accessories - Watches, tie clips, bowties, or ties for him, and hats, kimonos, watches, and jewelry for her. 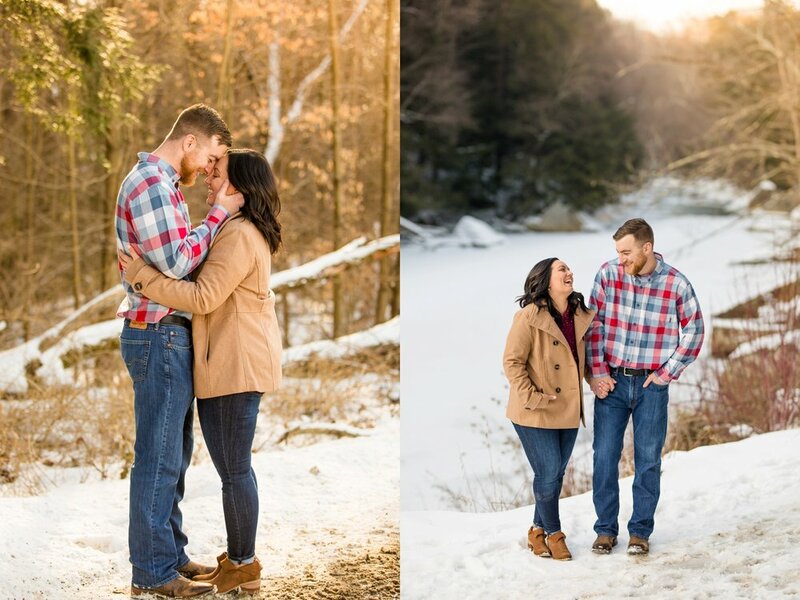 Both can go a long way and add a lot of visual interest to your photos! Maxi Dresses/Skirts - Maxi dresses and skirts are oh-so beautiful in the spring and summer! 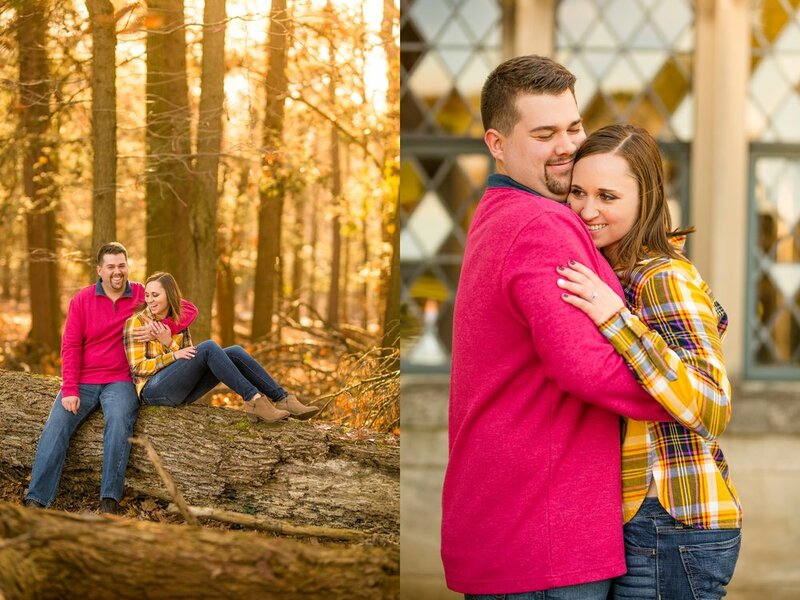 They’re light and breezy and do a wonderful job of naturally elongating the body in photos! 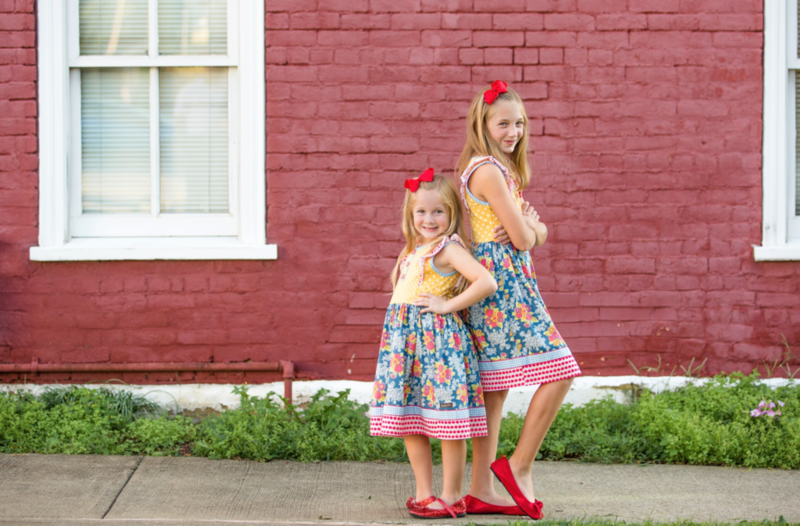 Plus… they’re fun to twirl! 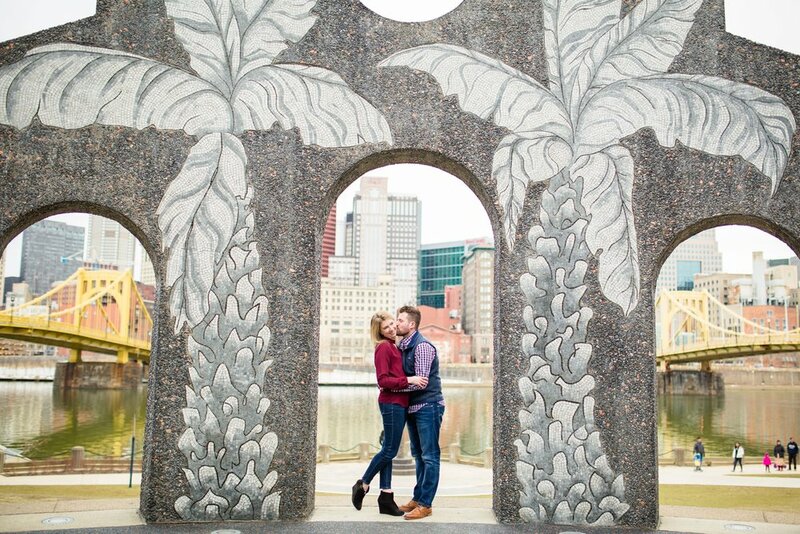 💃 Which, for an engagement session, is always so dreamy! White Jeans - White jeans are a great compliment to a brightly colored or patterned top, and can be nice to throw into the mix if your S.O. is wearing jeans. White jeans are sleek and give a bit of an upscale look! Fluorescent Colors - Neon colors don’t tend to photograph quite so well, so pass on any colors that are a bit too fluorescent (not to be confused with the aforementioned bright colors - examples in the photos below!). Shirts with Logos - Shirts with logos don’t usually look that nice. 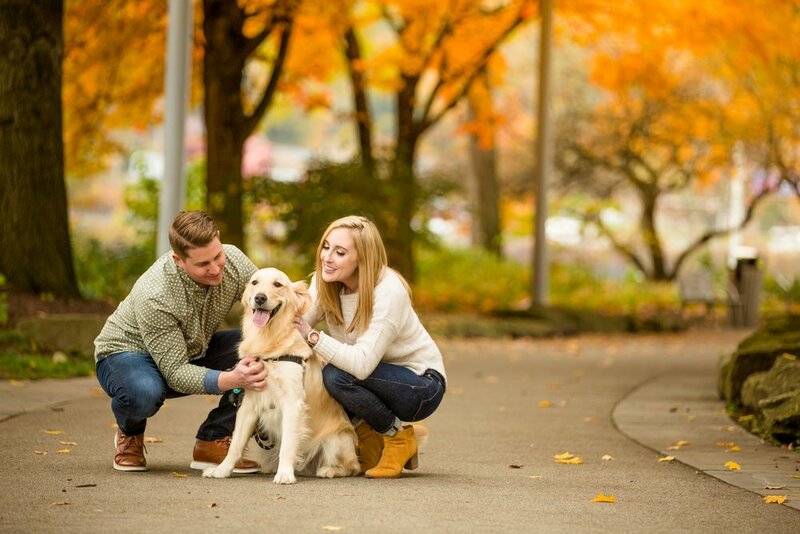 Try opting for a shirt without a logo to keep your photos classic! 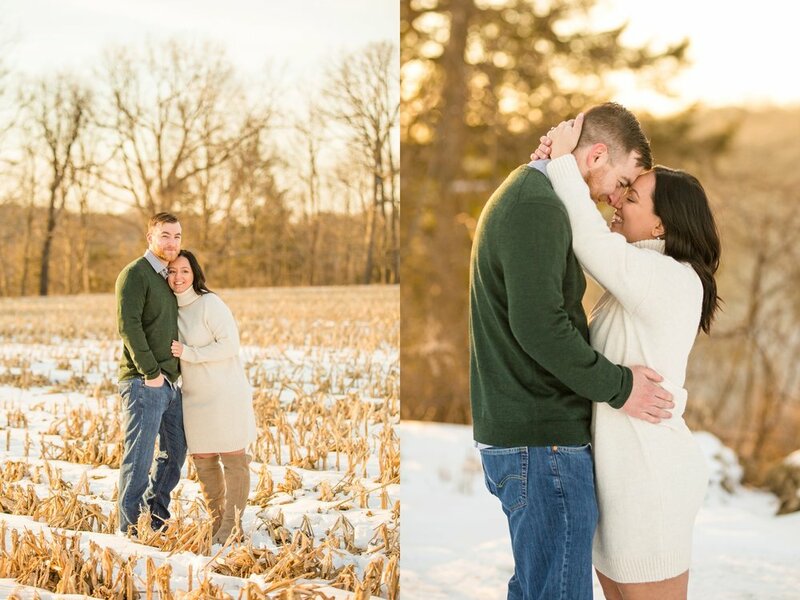 Too Many Heavy Layers - There are few things more uncomfortable then being bundled up in 90 degree weather for an hour and a half while getting your photo taken! Wearing too many layers in the summer particularly can result in lots of sweaty portraits - so be careful how many layers you and your S.O. add particularly for really hot days! 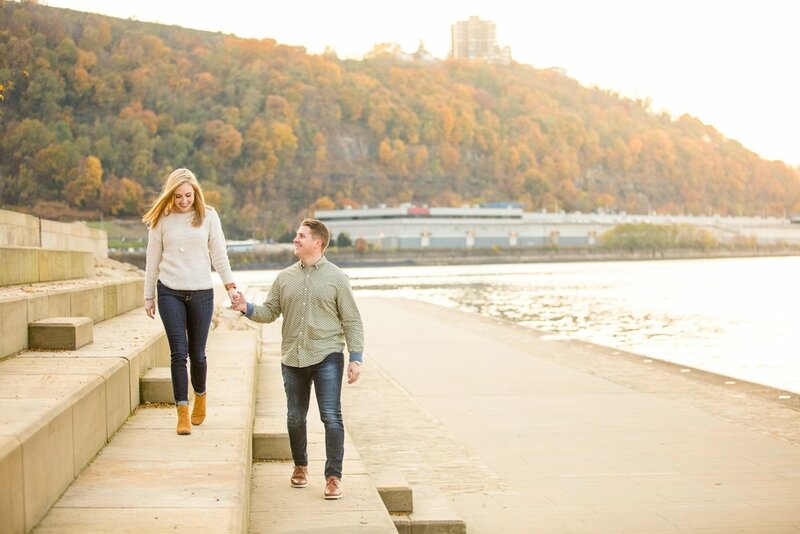 If you’re looking for some more help preparing for your engagement session, check out the posts below! 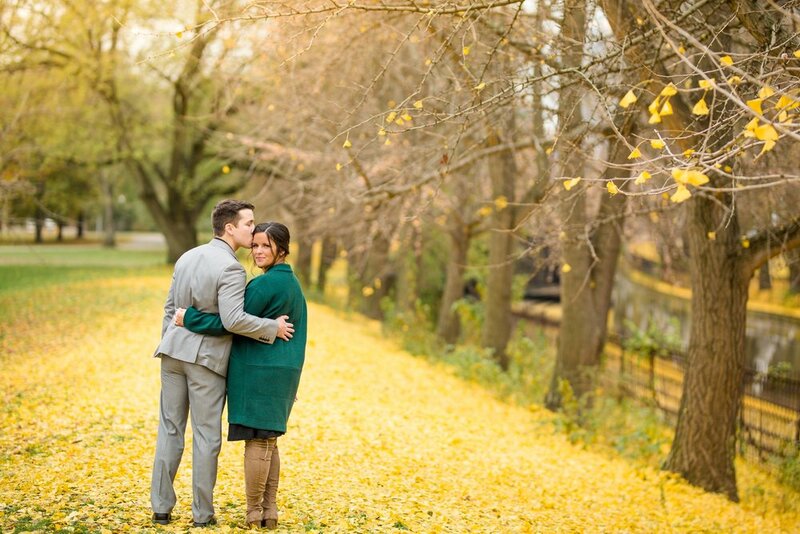 Engagement Session Outfit Pinterest Board! 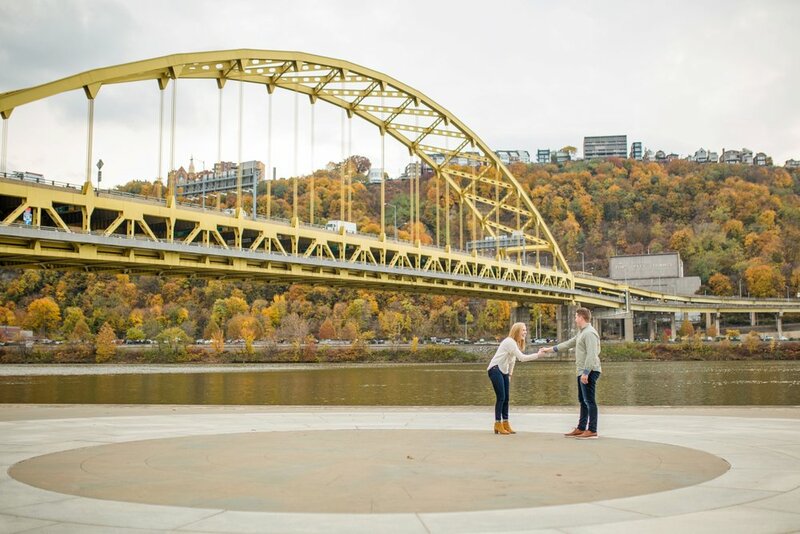 The day my now-husband proposed to me was a BLUR. 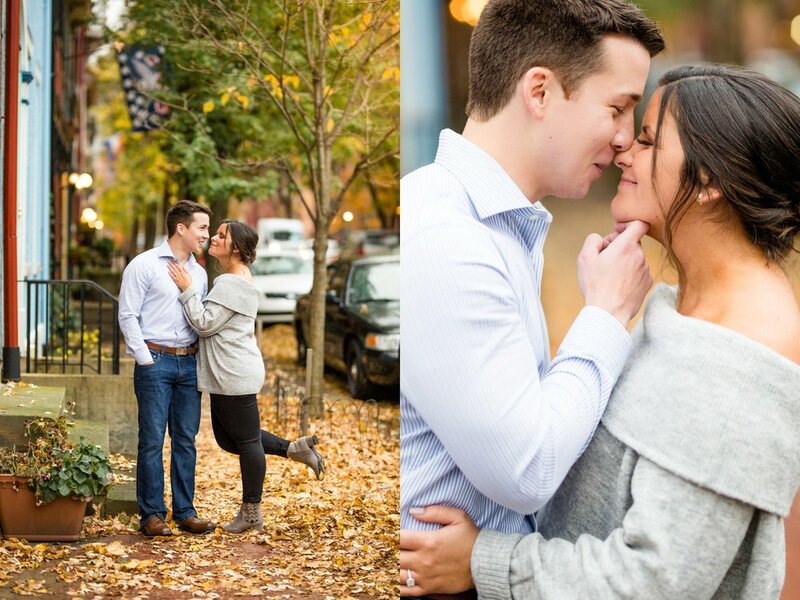 From start to finish, I could hardly remember the whole ordeal (it was a lip-dub proposal, so it lasted a bit longer than a typical proposal!). 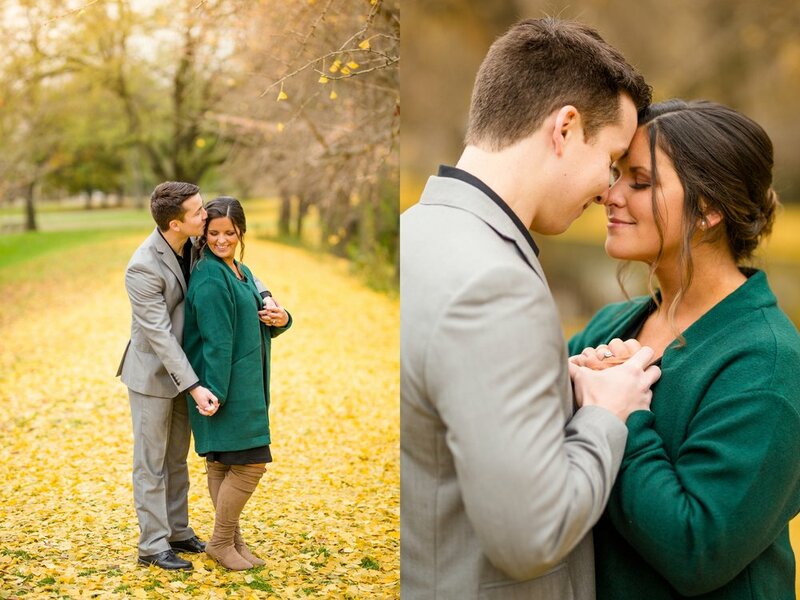 Two of the things I am most thankful for from that day are this video, and the photos that were taken by our photographer. To look back on that video and on those photos and see the raw emotion makes me cry every. Single. Time. 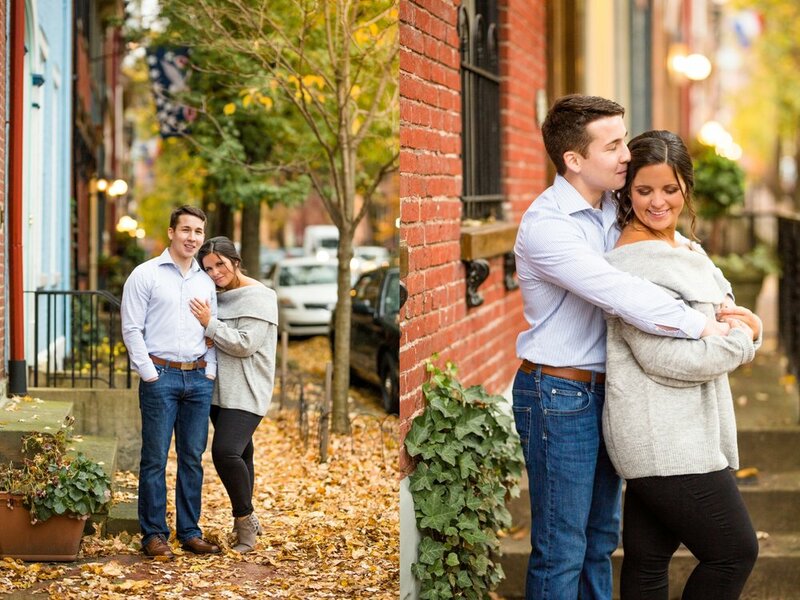 I couldn’t be more thankful for that gift and that Nick thought through not only hiring a photographer, but also a videographer! 1. 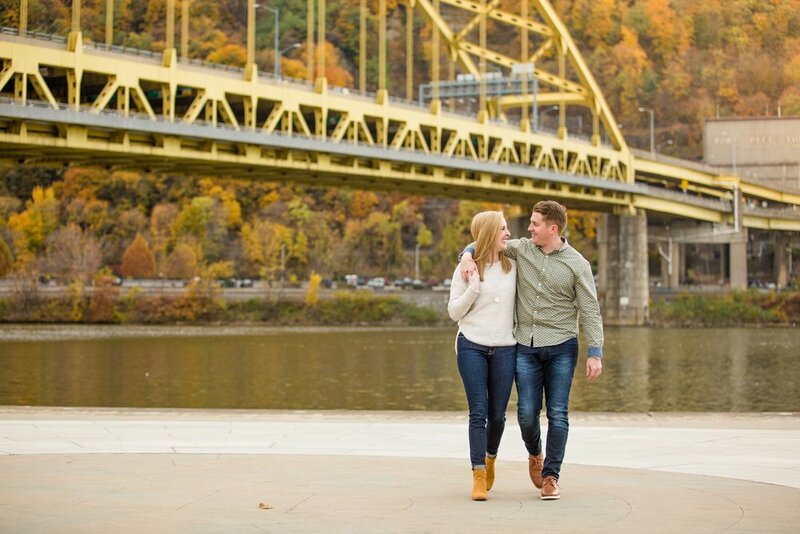 Your soon-to-be fiancé will thank you! 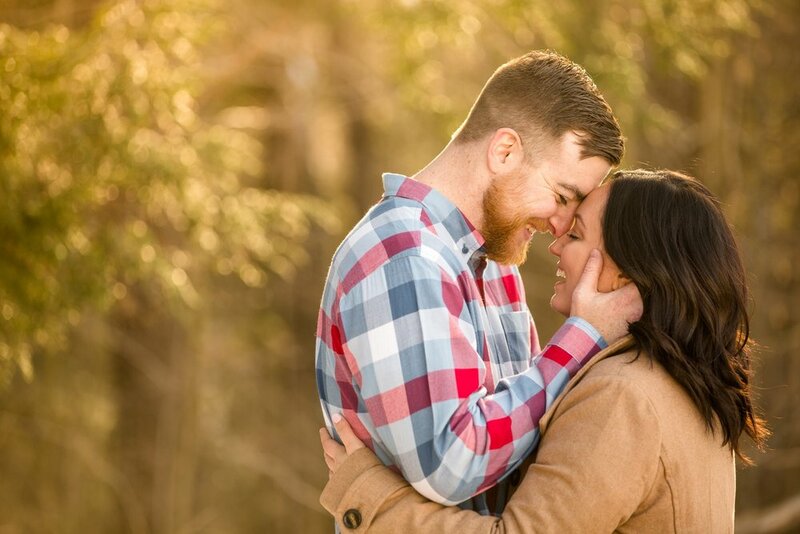 One of the BIGGEST comments I hear from my brides who don’t have photos of their proposal is “I wish we had photos of when it happened!” And the second biggest? 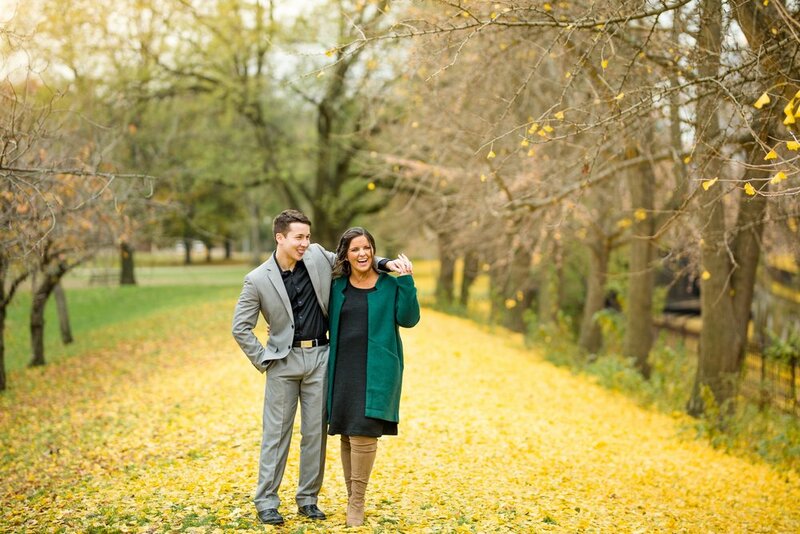 “I wish we had GOOD photos of when he proposed!” Trust me: your fiancé will thank you! 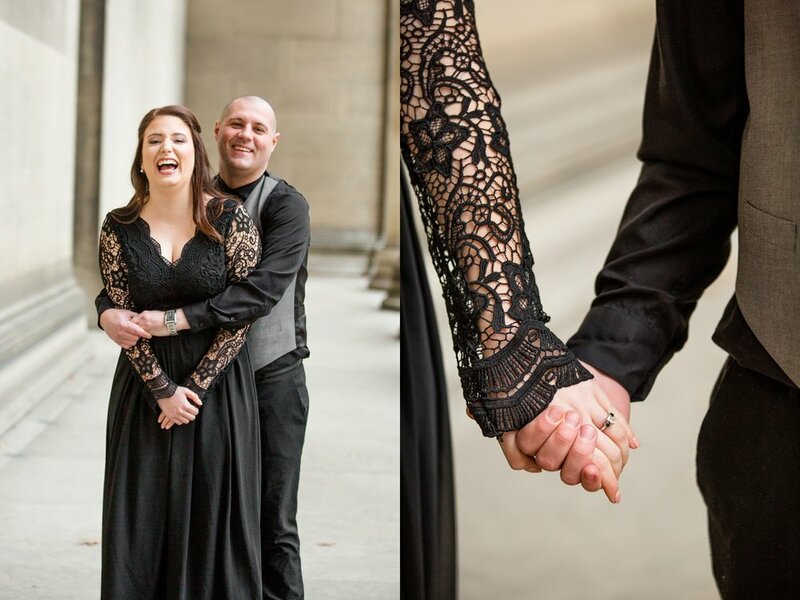 There’s nothing like being able to go back and revisit that raw, candid emotion! 2. 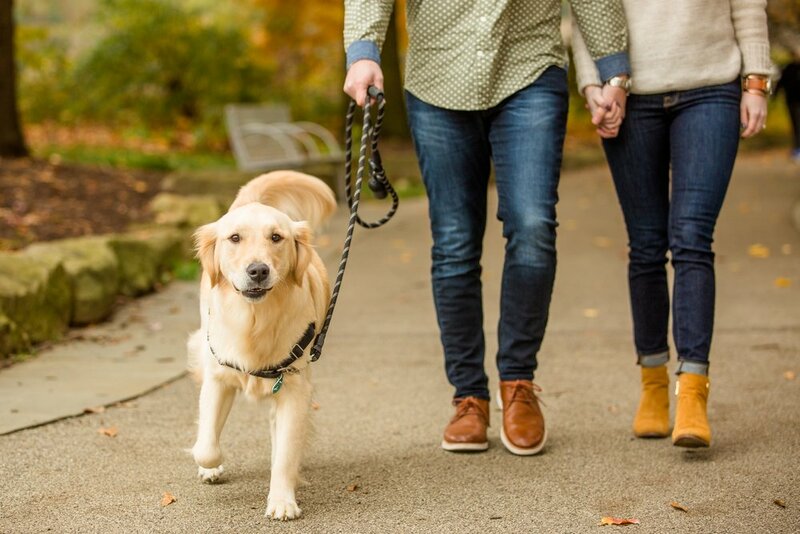 You’ll have photos from the moment to share with your friends and family! 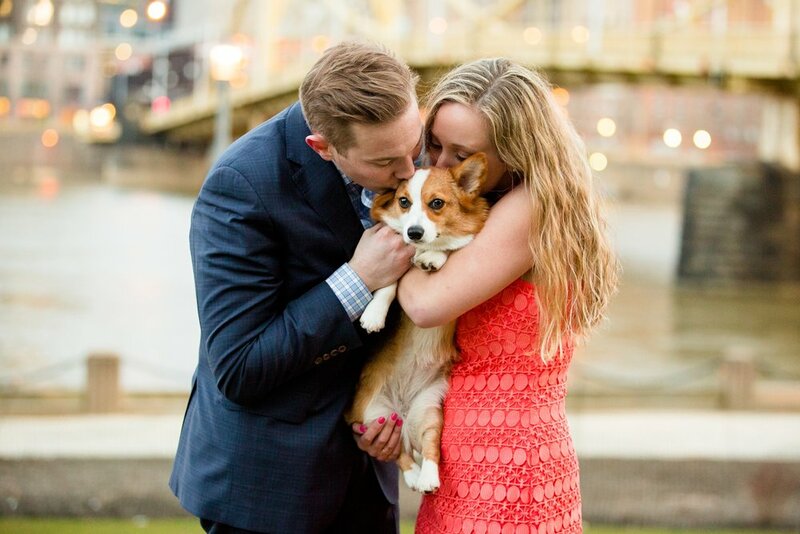 If you’re planning on having the moment between just the two of you, you’ll be able to share the emotion and excitement with your friends and family who didn’t get to witness! 3. 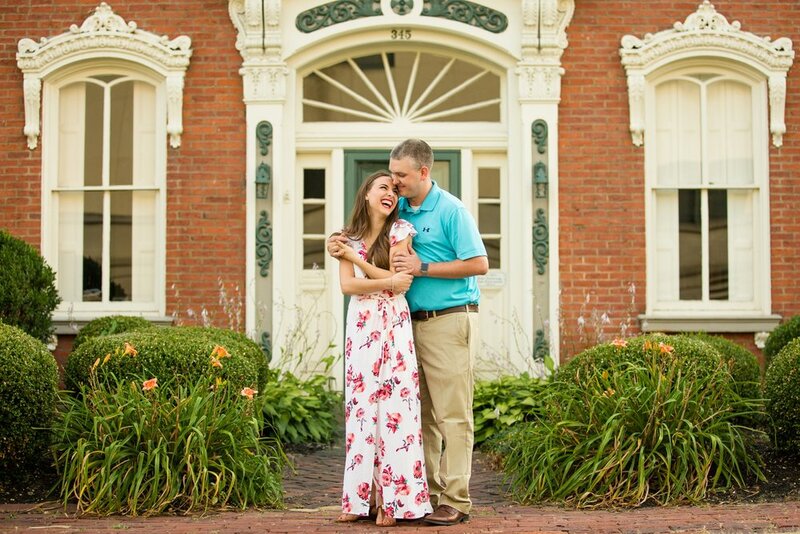 A professional photographer can help you plan and give you tips! 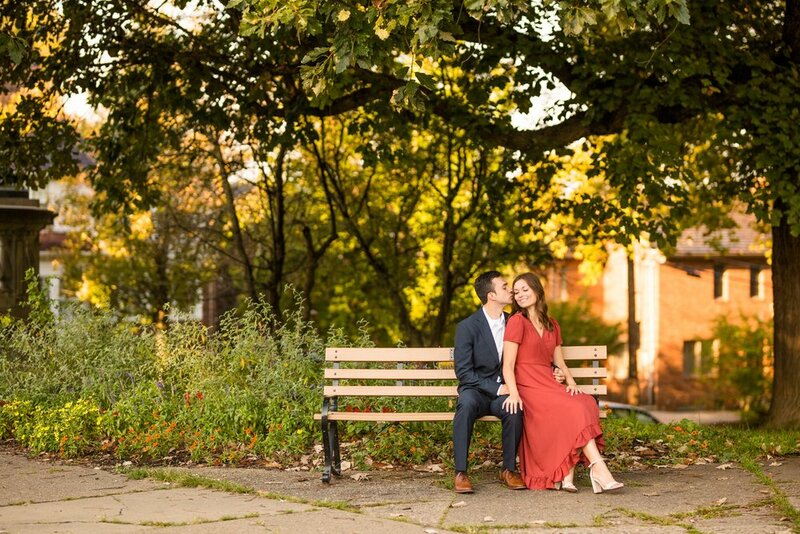 A professional photographer will be able to help you find a great spot, give you tips on the best time of day to shoot, and are pros at remaining inconspicuous and maneuvering in crowded locations with unforeseen disruptions. 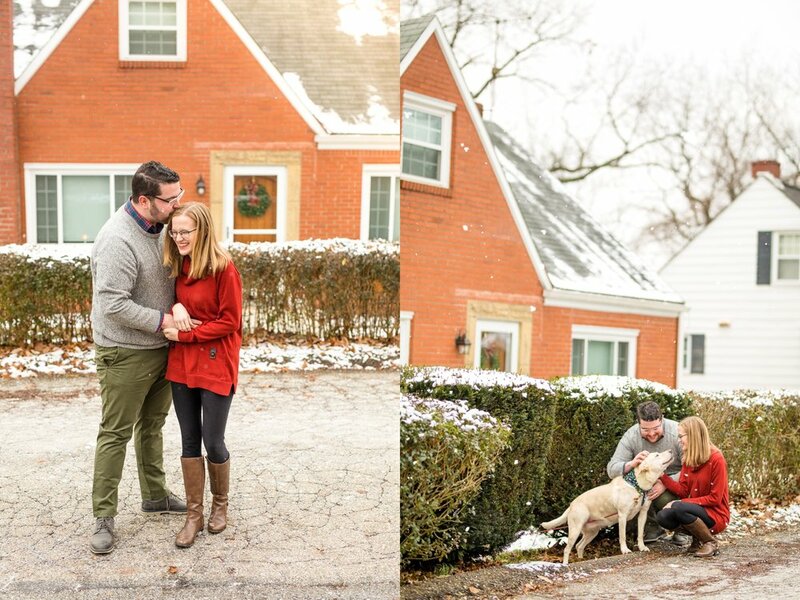 These photos are SO important. 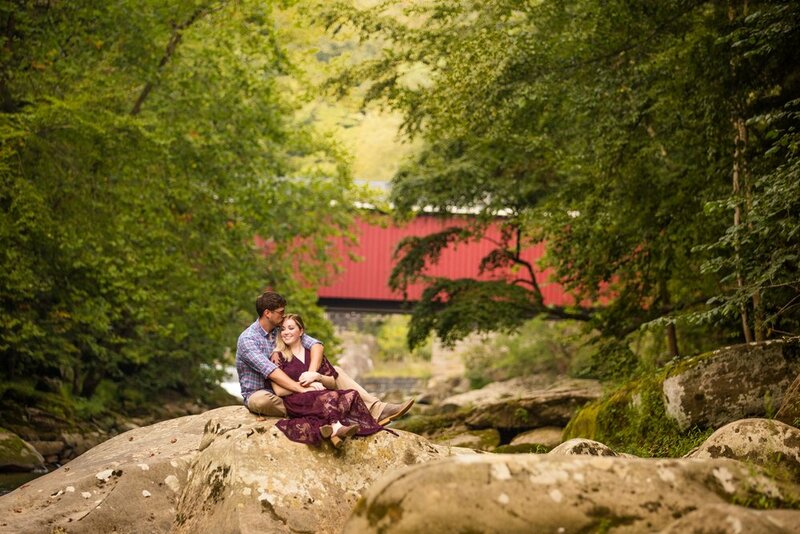 Make sure you find someone who will do whatever they possibly can to get the shot! 4. 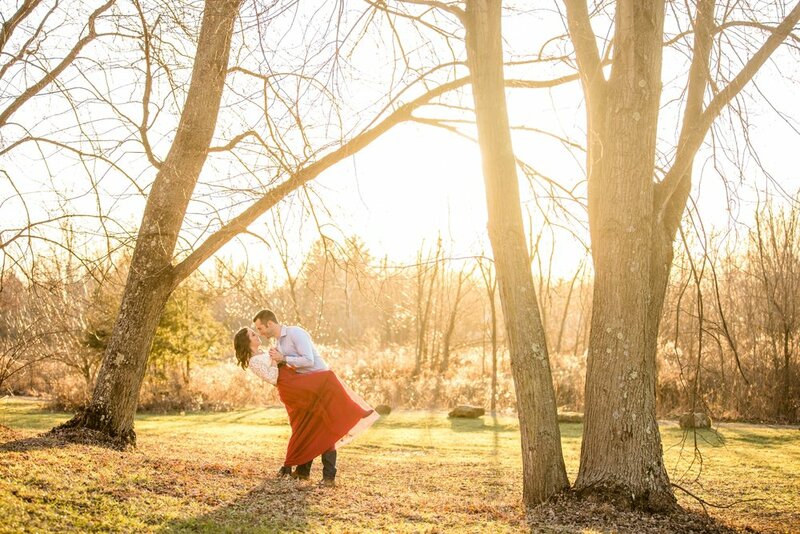 You can use the photos for your wedding! 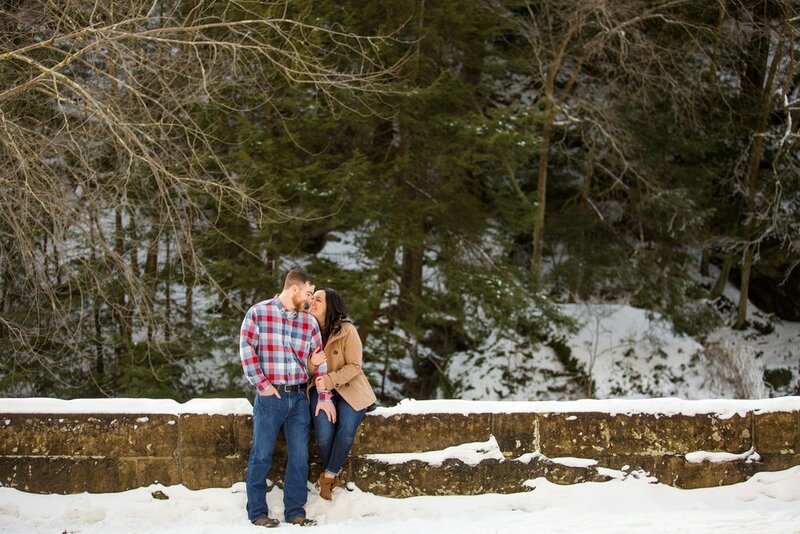 What’s better than having the very beginning of this new adventure captured to use as Save the Dates, in a guest book, or as décor at the wedding itself?! 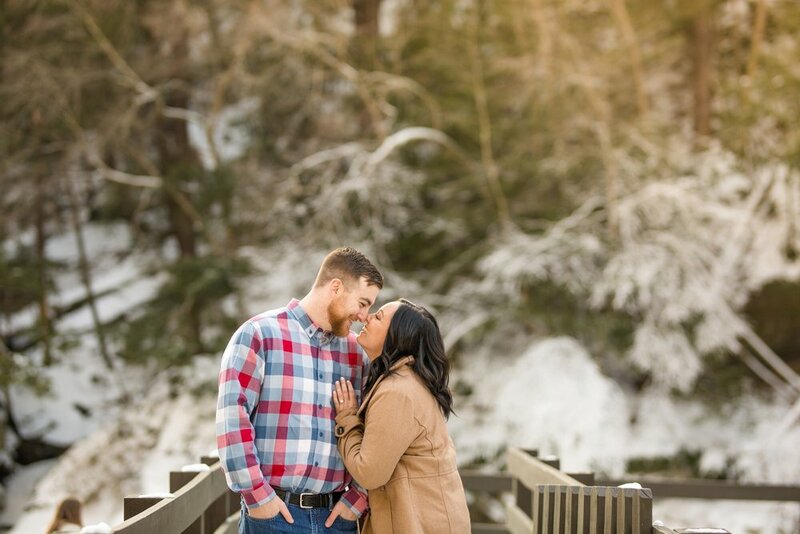 Looking for a proposal photographer for your engagement? Reach out using the contact tab above! 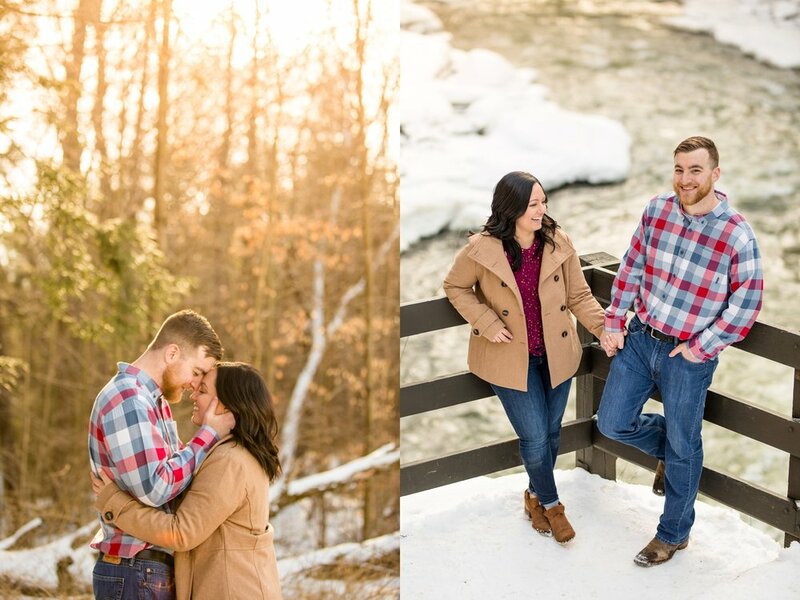 One of the best parts about engagement sessions is getting to know my wedding couples beforehand, and this year I’ve had the pleasure of photographing so many amazing couples in so many picturesque places! 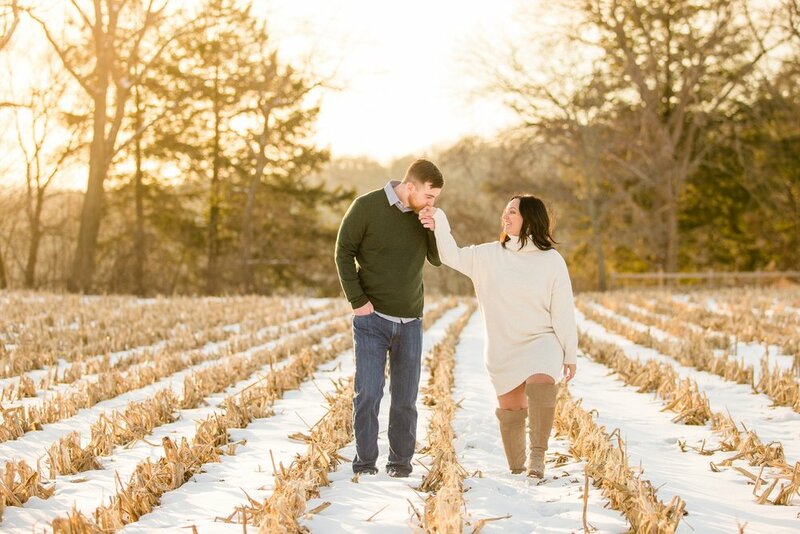 The very first engagement session of the year was in JANUARY, with the sweetest couple who had the most perfect January day! 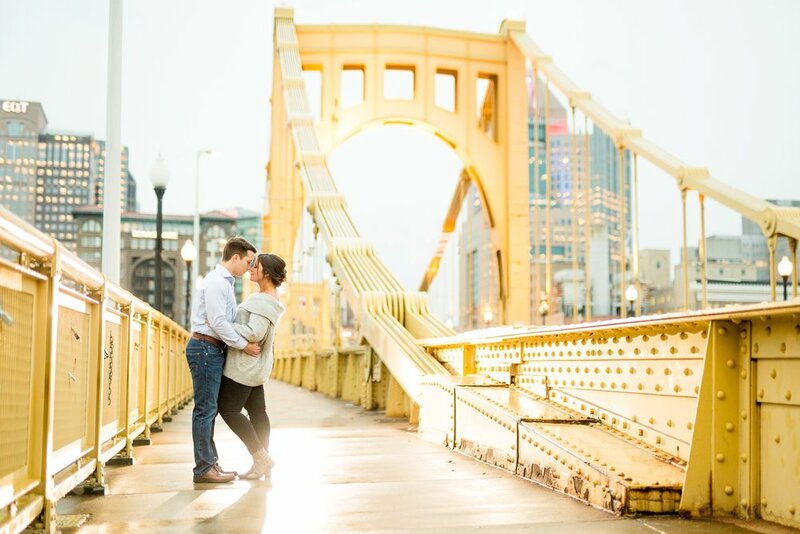 (It was like, 50 degrees and sunny - it doesn’t get much better than that in January in Pittsburgh!). 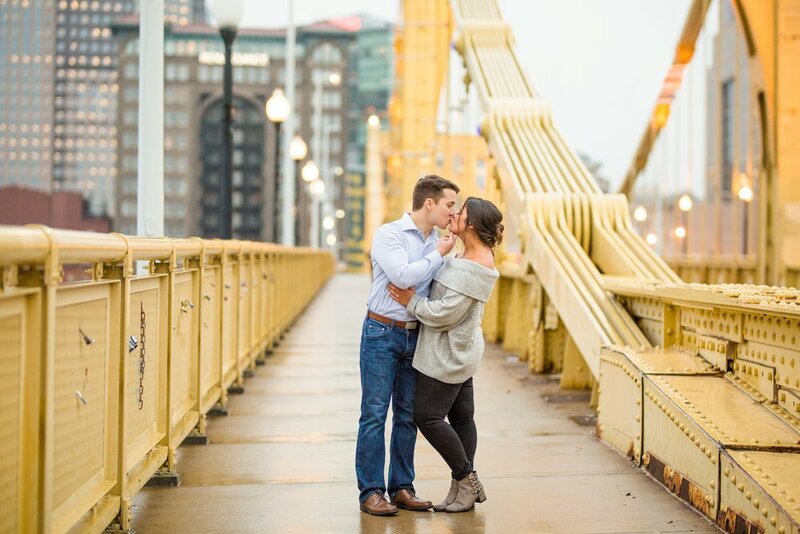 The very last engagement session was with a couple who braved the rain and cold for some unique shots in some of my new favorite locations! All and all, this year was a blessing from start to finish. 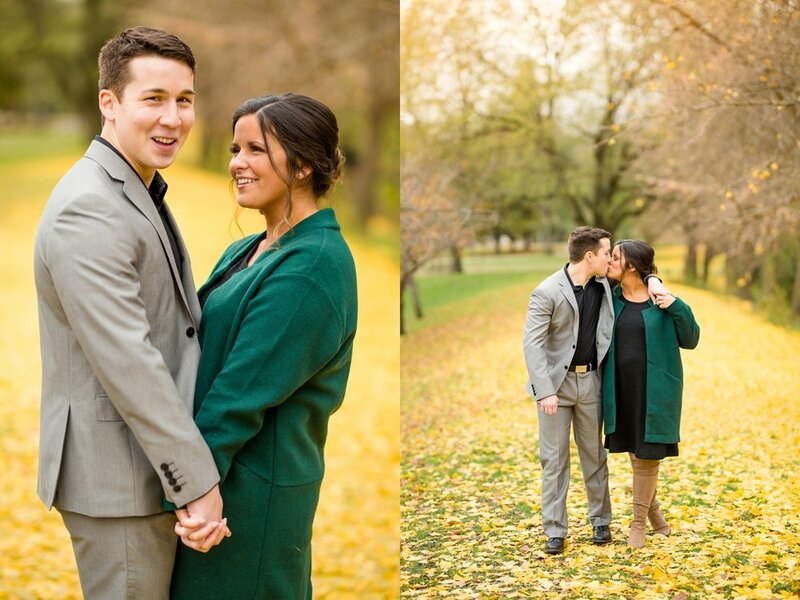 To all of the couples who trusted me with their engagement photos: You are the BEST! 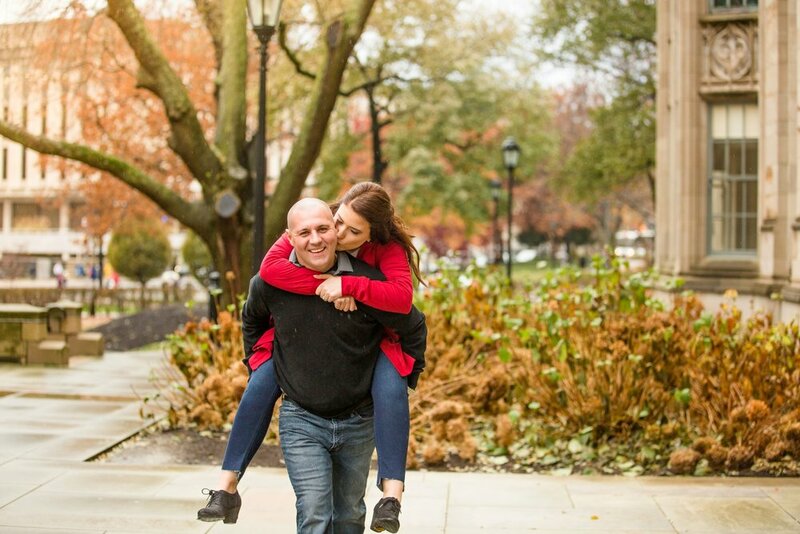 I am so thankful to be the one you’ve trusted with these precious memories! 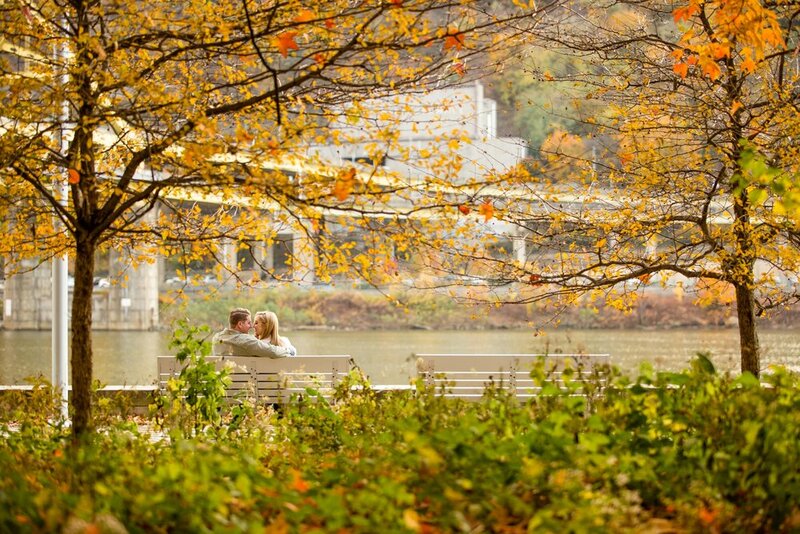 Novembers in Pittsburgh can be hit or miss. I remember last year, November was almost summer-like just until the end - and then we went straight from “summer” to winter, seemingly almost overnight! This year we’ve seen some crazy cold temps and LOTS of rainy weather. But Rebecca and Yeddie were completely unfazed! 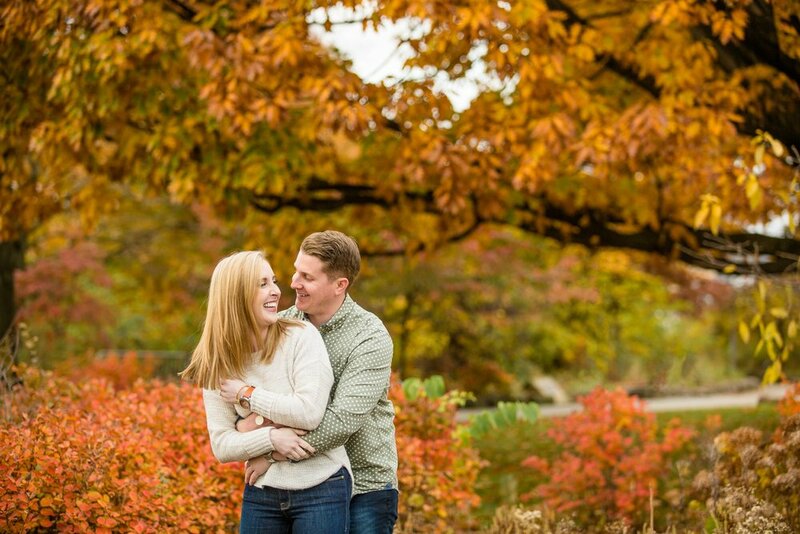 When I mentioned moving their session to a different day/time with the looming forecast of all day rain before us, they decided they wanted to go for it anyways - which I so admire! So I pulled out the bubble umbrellas and my rain jacket and met up with them on a cold (and wet!) November afternoon! 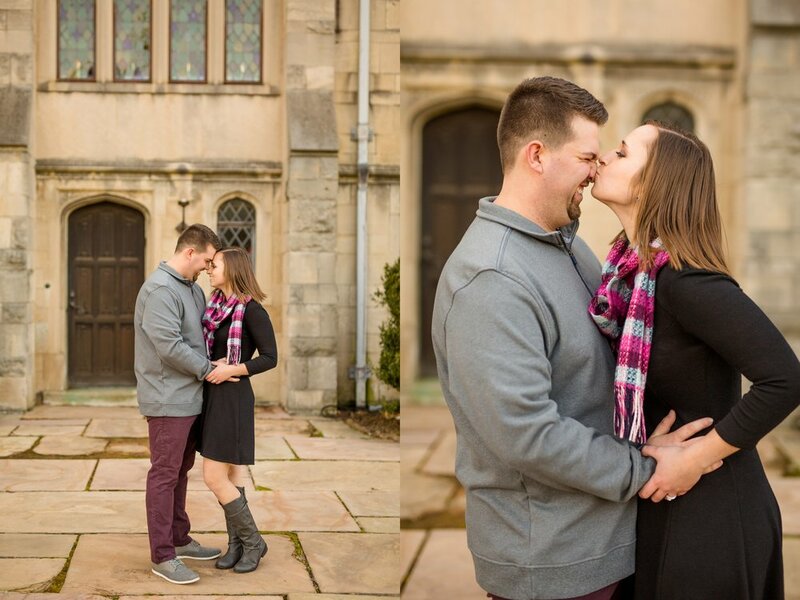 Their session took place in Oakland in some of my favorite locations! 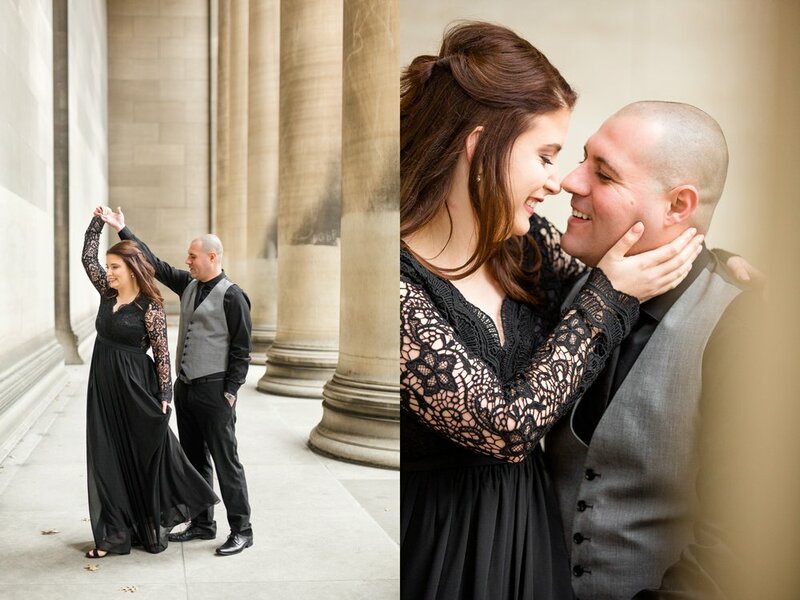 We started off at the Mellon Institute, so they could get the hang of being in front of the camera without having to worry about posing/moving with an umbrella, or with the surrounding rain! 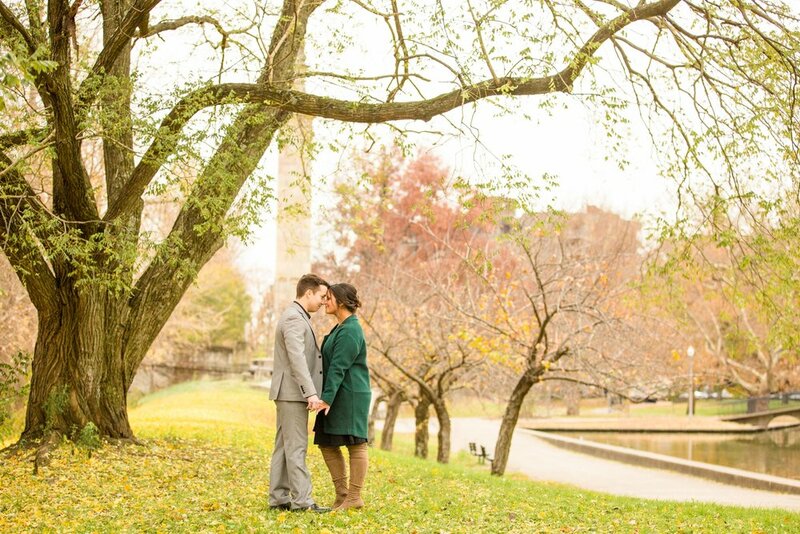 Then, we hopped over to the Frick Fine Arts Building, utilizing the Schenley fountain (with umbrellas in tow! ), and the interior of the building - which has so much beautiful, natural light! It also just so happens that Yeddie spent a large majority of his college career taking classes inside that very building, providing the perfect personal touch! 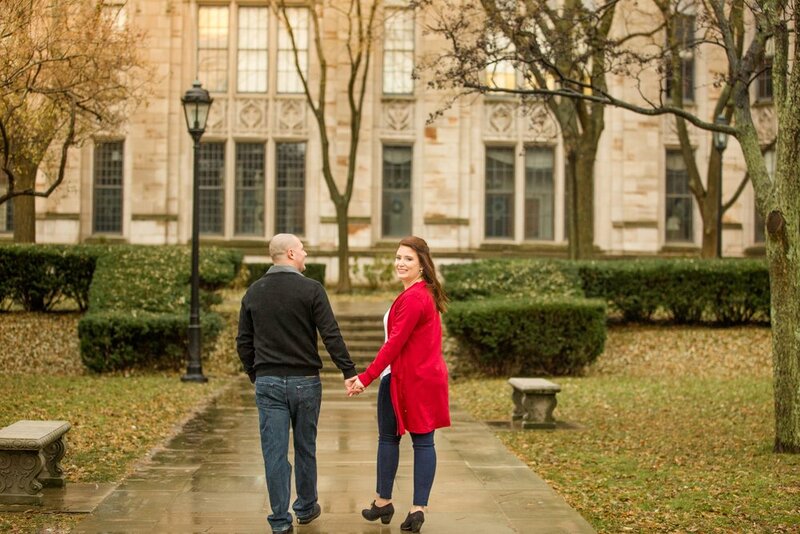 About 20 minutes before their session ended, the rain stopped, giving us the perfect window of time to finish out their session outside of the Cathedral of Learning! 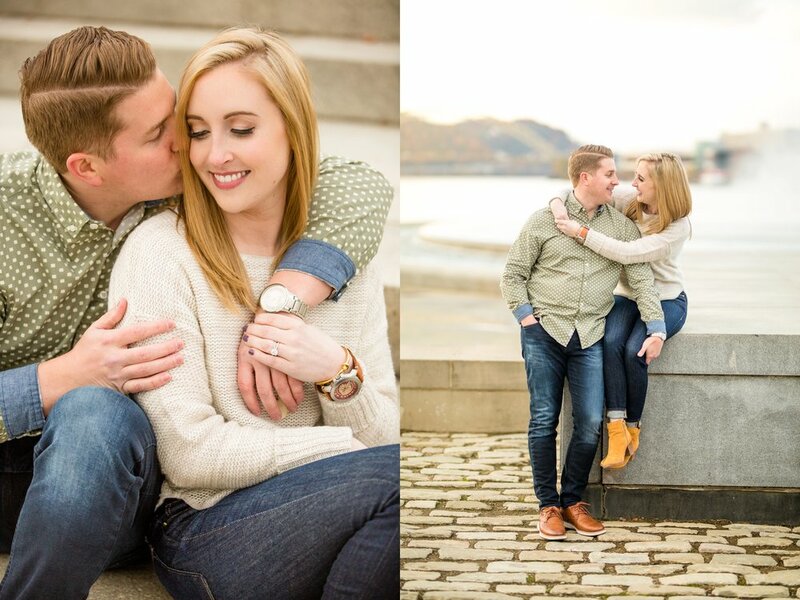 Rebecca and Yeddie, you two are such a joy to work with, and I can’t wait for your wedding in 2020! 💛 Thank you for an awesome afternoon! 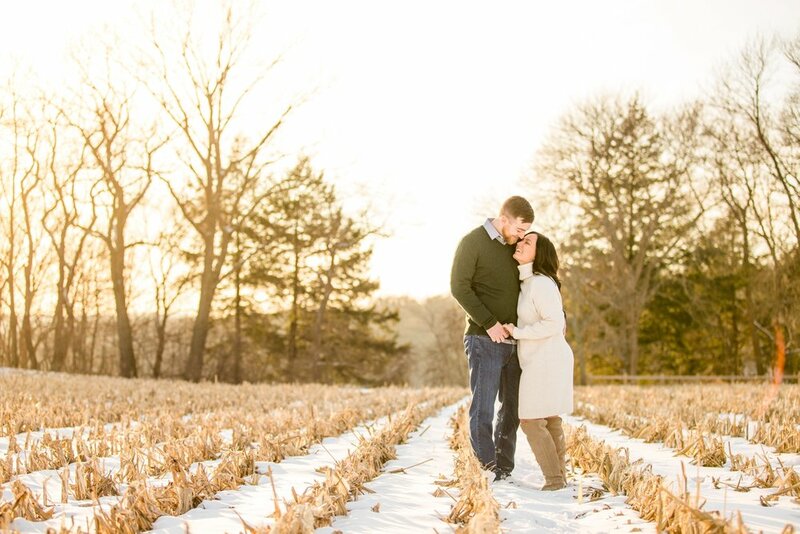 The day of Erica and Rio’s session was BRIGHT and SUNNY. 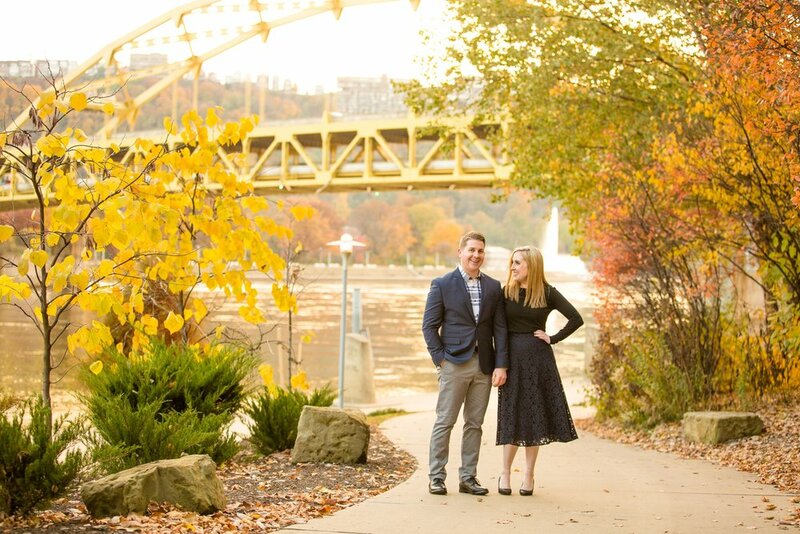 This might sound like a strange thing to say if you’re not from Pittsburgh, but if you’re a Pittsburgher heading into December, you know that we don’t get very many non-gray days once winter hits! In fact, I read a statistic that said we have about 306 cloudy days a year, which means about 84% of our year is cloudy (via this source). To give some perspective - Seattle only beats us by two days. TWO days! 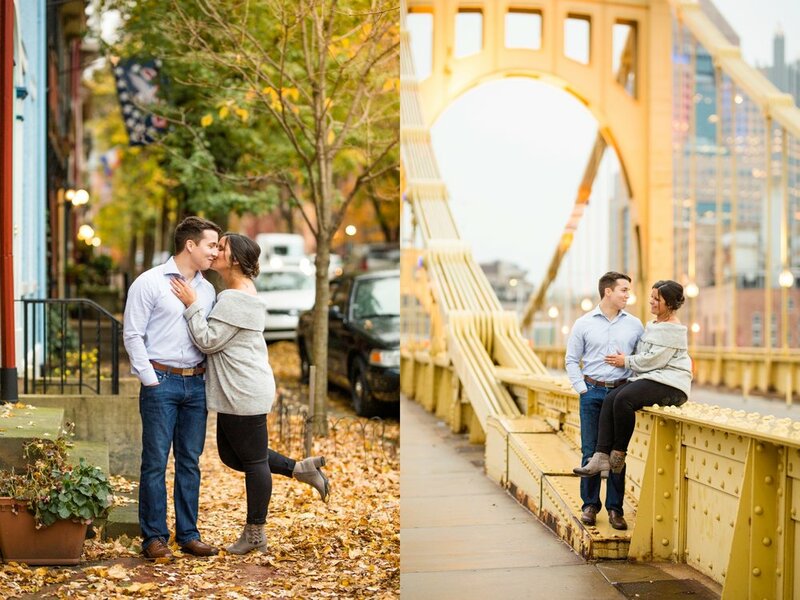 So when the sun came out towards the end of November for Erica and Rio’s session, I was FLOORED! 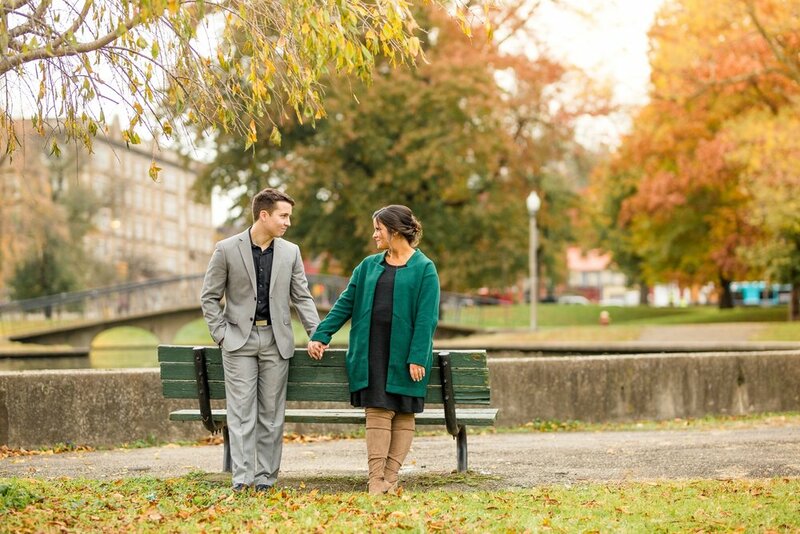 These two came all the way up from Virginia, so I was so thankful they had a beautiful day for their engagement session! 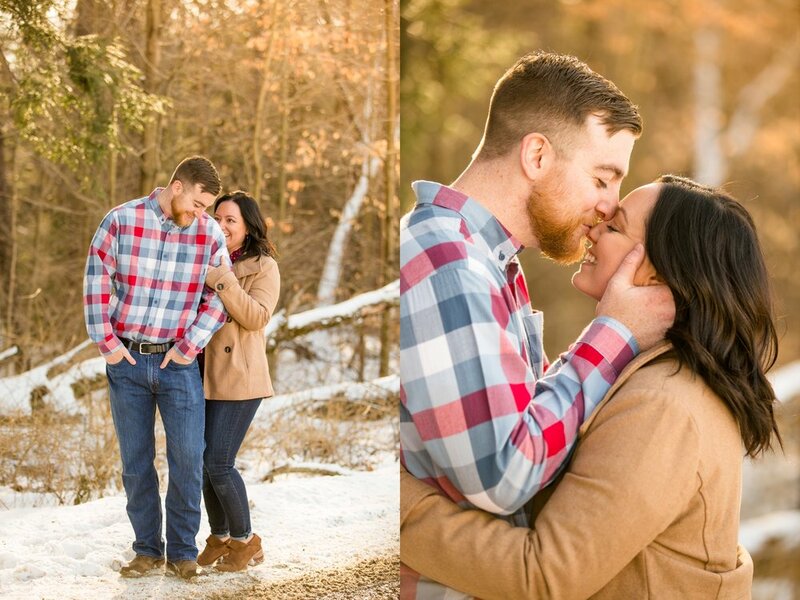 Erica and Rio are goofy and in love, and are both teachers in Virginia! 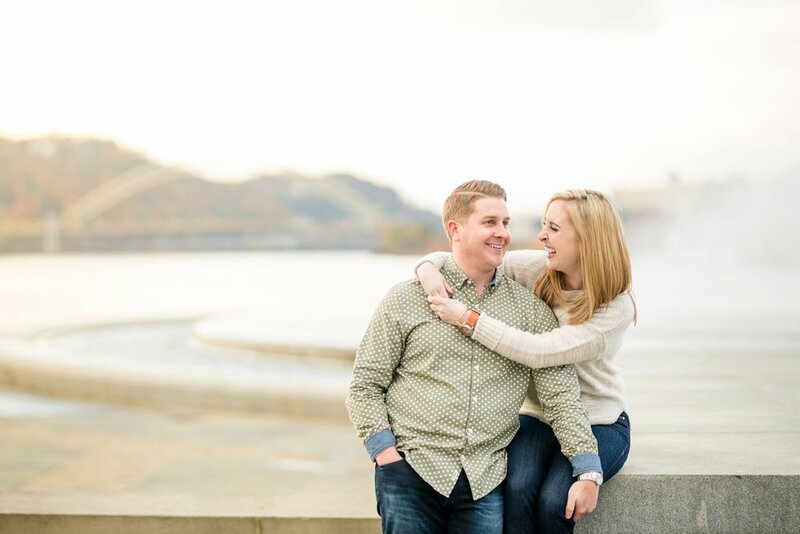 They met at freshman orientation at Clarion University and started dating in December of 2013, and Rio popped the question this past April on the golf course Erica grew up playing on. 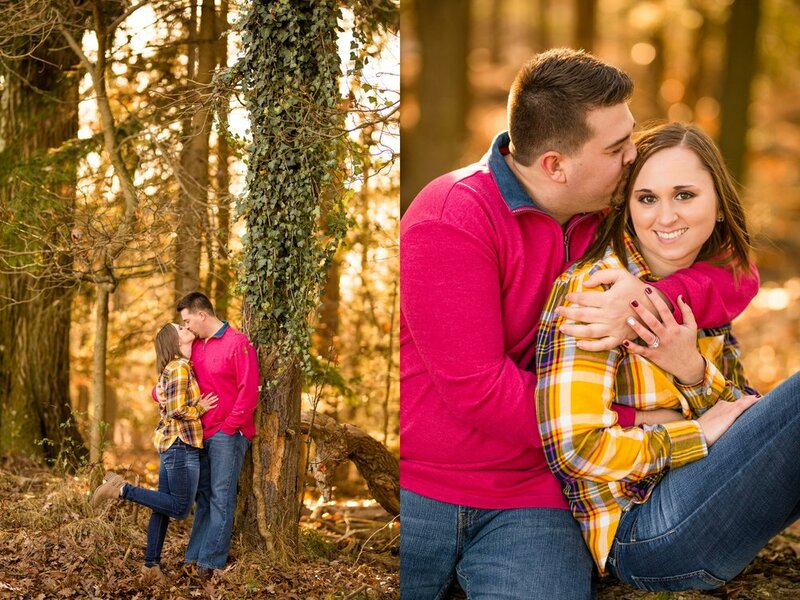 Thank you so much for the honor of taking these photos for you, Krista and Brent!